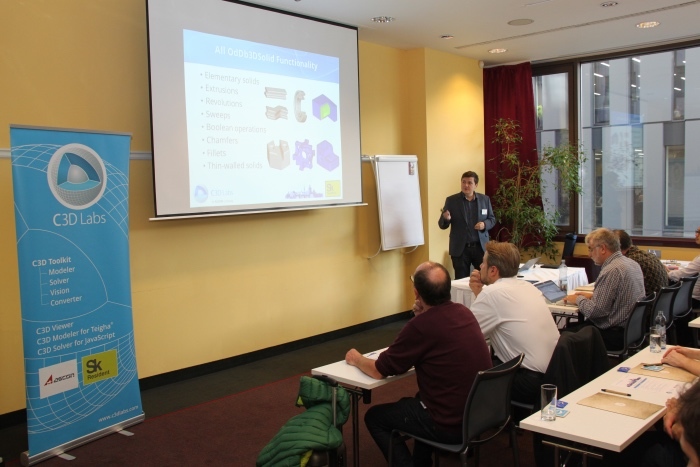 Prague, Czech Republic: 20 September 2017 — During the annual Open Design Alliance (ODA) conference, C3D Labs held a well-attended session to describe the current progress and future plans for C3D Modeler for Teigha. This is a light-weight solid modeling kernel for the Teigha platform that can be licensed by members of the ODA. 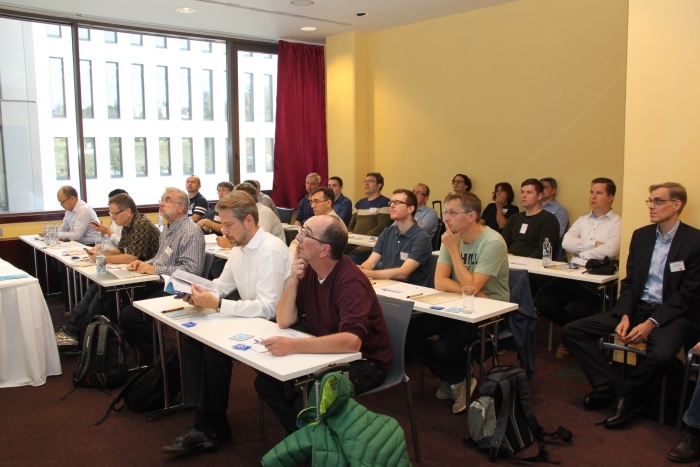 With every seat filled in the conference room, software developers showed their interest in the 3D modeling tools that run on top of the Teigha platform. Speakers from C3D Labs spent time describing the major update to the kernel, which arrived in late August. Much work has been carried out to increase its performance. 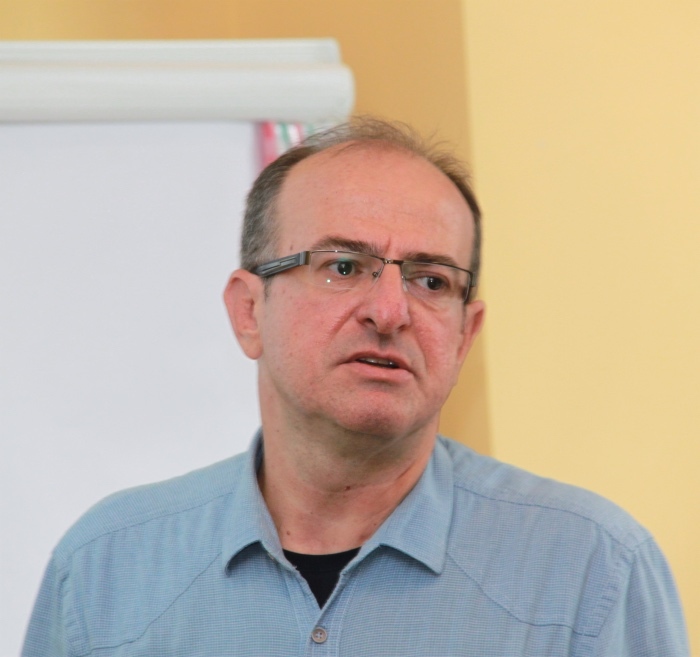 Other improvements were implemented in close cooperation with the experts at ODA. The update also took into account feedback from early adopters, and it is now available to all developers using the just-released Teigha 4.3.1 API. On this last point, C3D Labs is prepared to expand the functionality as much as necessary to meet customer needs. As a result, it even is possible that it will have to redefine the limits of the platform, and the geometric kernel itself. MKA Software and Engineering Solutions (İzmir, Turkey) is one of the early users of C3D Modeler for Teigha. 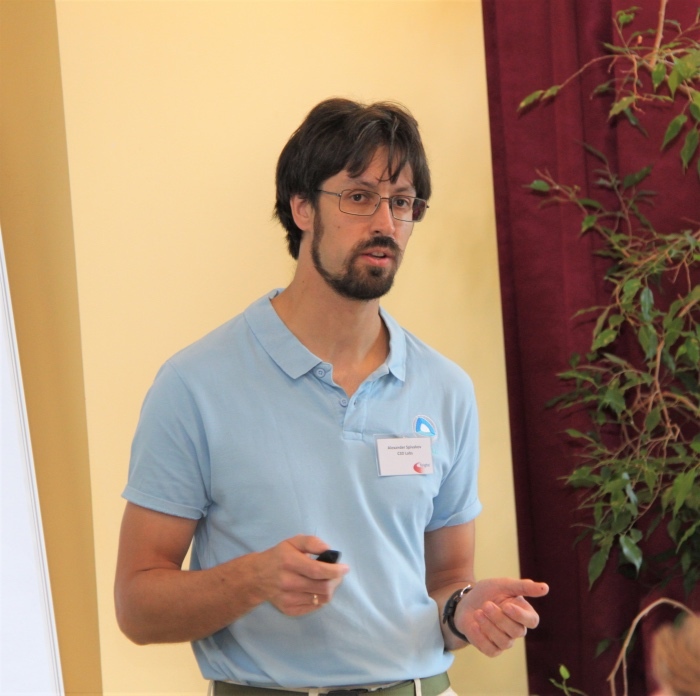 A representative from the company described the tasks undertaken by developers, and the process by which it selected the 3D kernel for integration into its MkaSteel software. The company examined OpenCASCADE and the full C3D Toolkit, but in the end chose the combination of the Teigha platform (for engineering drawings) and C3D Modeler for solid geometry. They found that this solution satisfied their need. 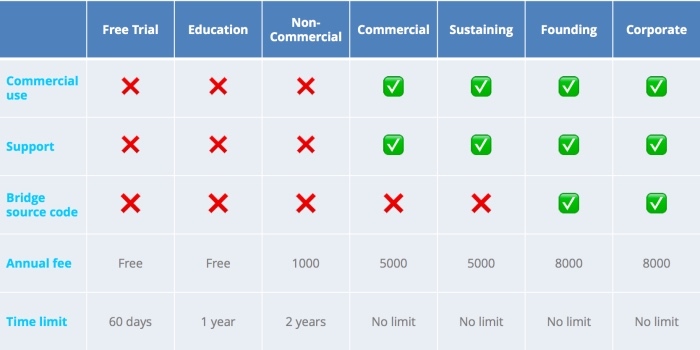 To further promote C3D Modeler for Teigha, the license fee has been eliminated for educational institutions who are also members of the Open Design Alliance. This means that any university can now implement the API free of charge. In addition, the cost of a non-commercial license is reduced to $1,000 per year. 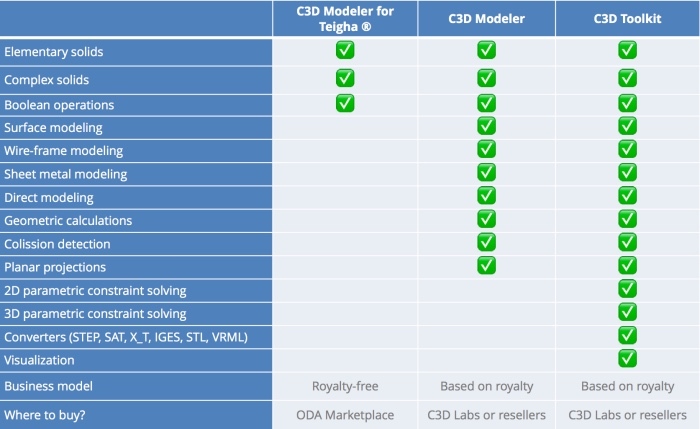 As before, C3D Modeler for Teigha is available for evaluation and a quick, one-click purchase through the ODA Marketplace portal. This makes the C3D Labs kernel unique as a truly attractive value-proposition for ODA members. C3D Labs specializes in the technology-intensive market of PLM components. The company develops and markets the C3D Toolkit used for constructing and editing 3D models. Computer-aided design systems are the most widely known software in which the C3D Toolkit is typically used. As a software developer’s tool, it is today the only modeling kit that incorporates all four modules critical to CAD: 2D/3D modeling, 2D/3D constraint solving, 3D visualization, and file conversion. In 2013, C3D Labs became a resident of Skolkovo, Russia’s state development office park. The Teigha development platform provides tools for creating a rich variety of engineering applications. These include full-scale CAD systems, automation, general-purpose visualization and markup, and custom data access and editing. Teigha supports the use by software of .dwg, .dgn, .prc, .rvt, .rfa and .pdf files, as well as the import and export of many other formats. It runs on all major desktop, server, and mobile platforms, and is available for C++, .NET, and Java developers. Teigha is developed by the Open Design Alliance (www.opendesign.com). Teigha is the trademark of the Open Design Alliance. All other trademarks are the property of their respective owners.